Interesting little towns located very near big vacation destinations like San Francisco often go missing from the holiday planner’s radar. In the case of Pacifica, California, that would be most unfortunate. 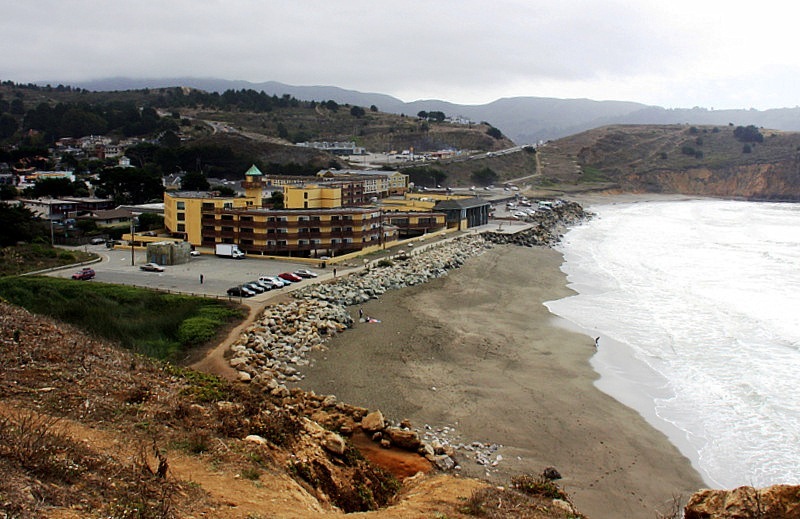 Just 15-minutes south of San Francisco on famous California Hwy 1, Pacifica is a great place to enjoy a change of pace from the hustle and bustle of a City vacation. 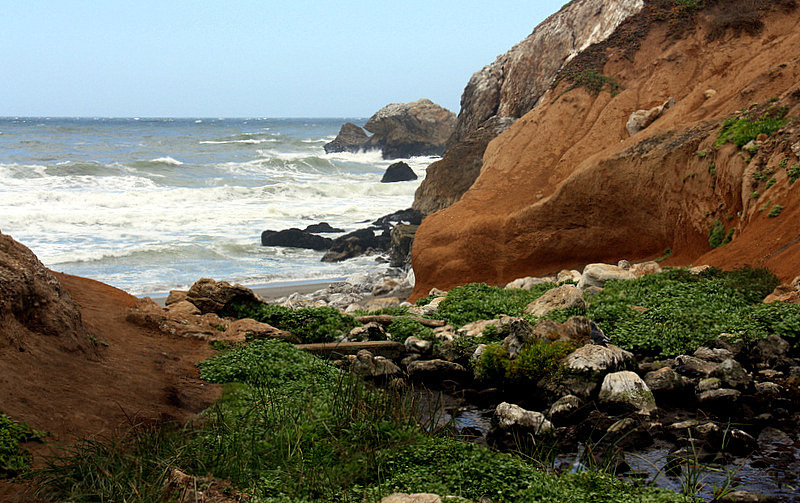 It’s a place to stretch out and watch the waves, and experience the community life of a small Bohemian style California coastal town that marches to a decidedly different drummer. 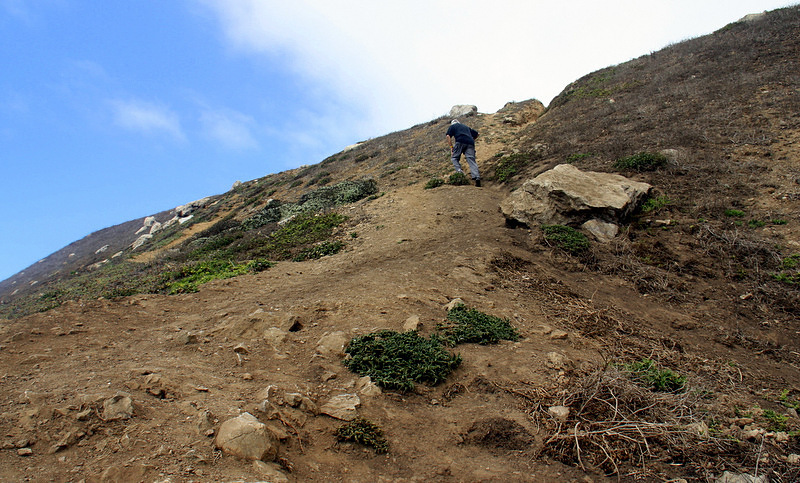 A 1200 foot ridge high above Pacifica was the place from which Gaspar de Portola discovered the San Francisco Bay in 1769. 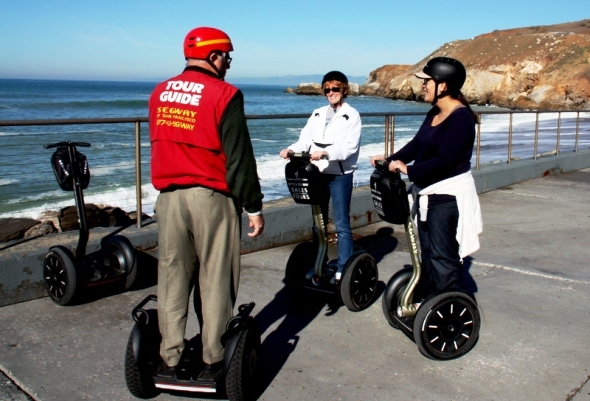 Being a short distance from our home, we have driven past Pacifica on many occasions, but only stopped once to research a story about the town’s amiable Segway tour operators. 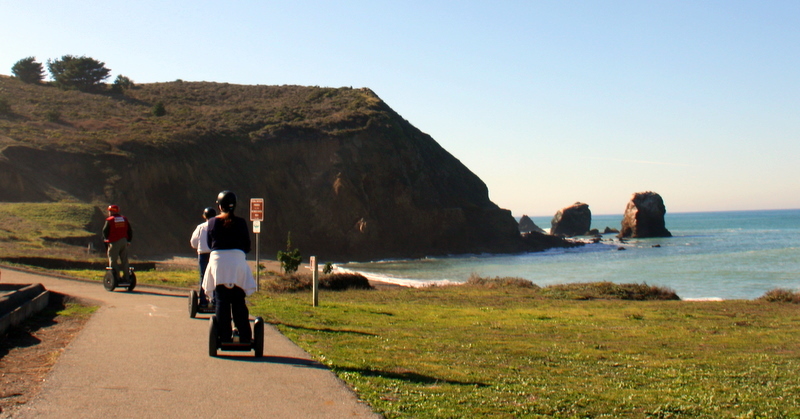 Our Segway experience proved to be a pleasant day’s outing along Pacifica’s rocky coastline known for great scenery, and we told ourselves that we must return. 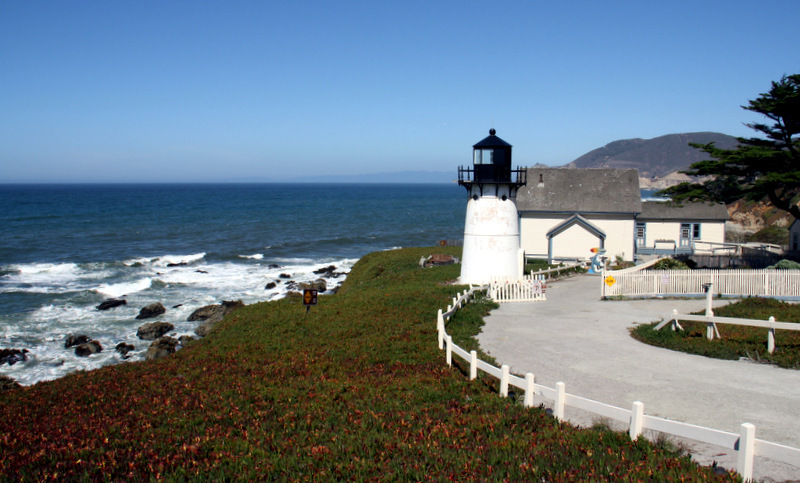 Recently, we decided to explore what this charming town below San Francisco had to offer by way of other activities, accommodations, and restaurants. 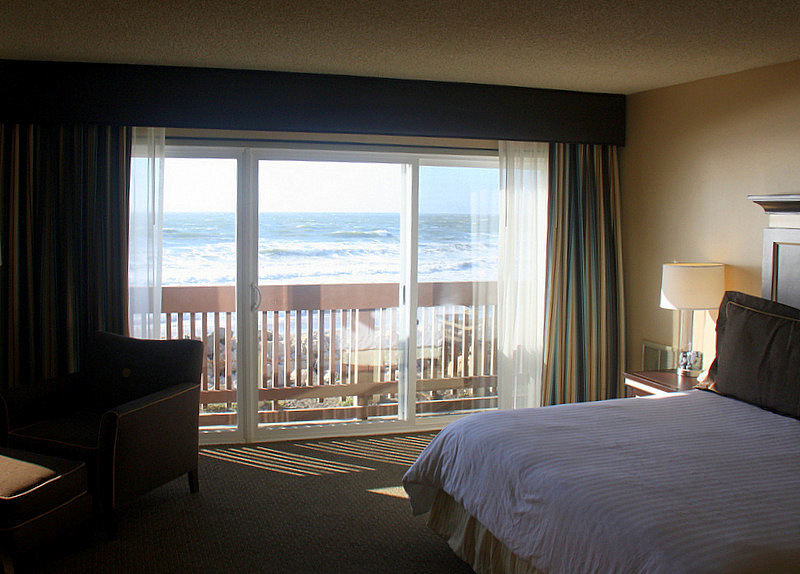 The first thing we looked for was a hotel room where we could hear the pounding surf on the sand. We found the perfect room at the Pacifica Best Western Plus Lighthouse Hotel, which happens to be the only full service hotel on the beach. 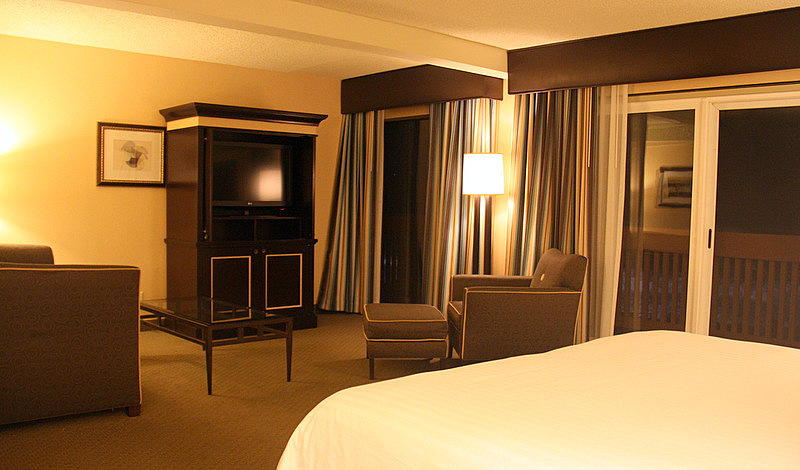 Marty Cerles, the cordial hotel manager suggested mini-suite number 127, and that is the specific room that we recommend if you want the best up-front seat for the smashing surf show. We left our window open all night and reveled in the relaxing sounds of the churning ocean and sea birds. 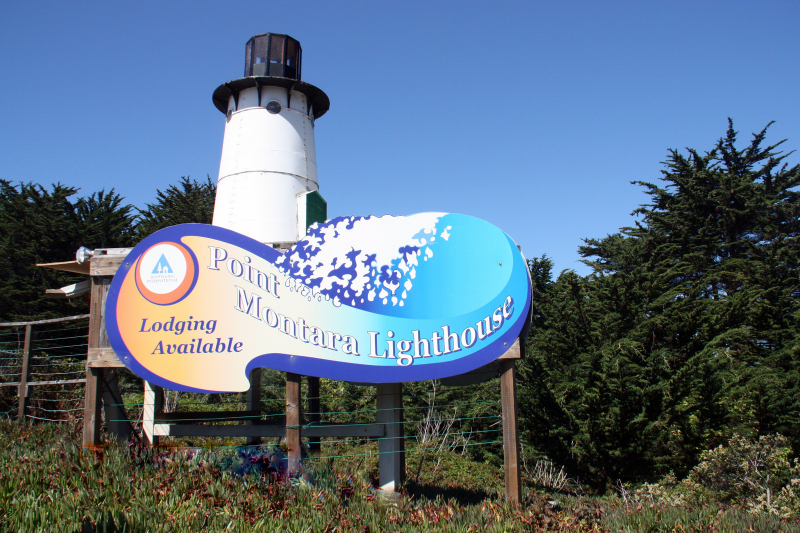 If you are in budget mode, try the nearby Point Montara Lighthouse Hostel operated by Hostelling International. You can stay in former Coast Guard quarters on this historic lighthouse property that boasts panoramic views that a major brand hotel would die for. Check out the great video below. It pictures the hostel campus and its extraordinary views, and includes many things-to-do while in the area. 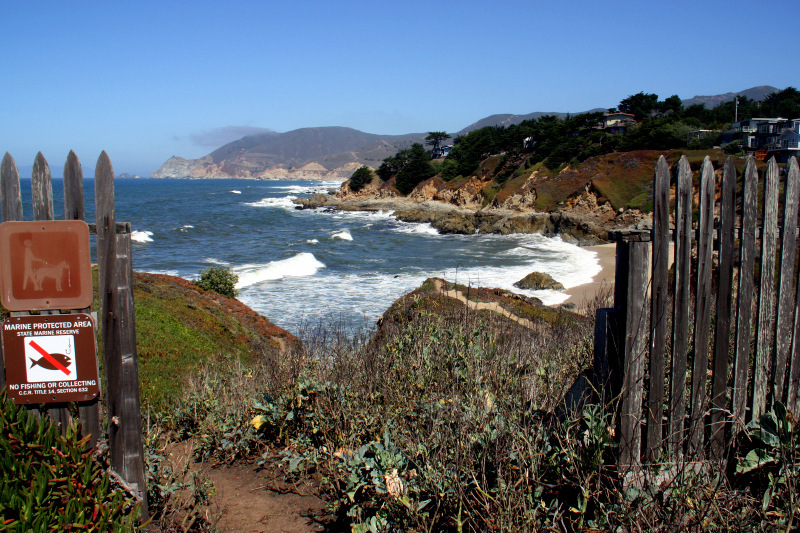 Pacifica features everything from world-class surfing, mountain biking, hiking, fishing, scuba diving and hang gliding. This beachy-peach is an ideal getaway for anyone interested in just relaxing or enjoying an invigorating outdoor vacation. 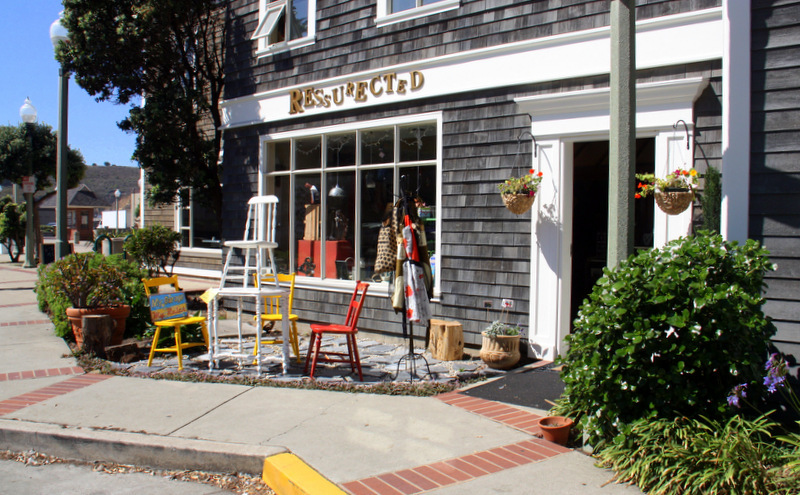 There are a bevy of quaint shops in Pacifica ranging from specialty shops to service establishments – it’s a great town to meander about and window shop. 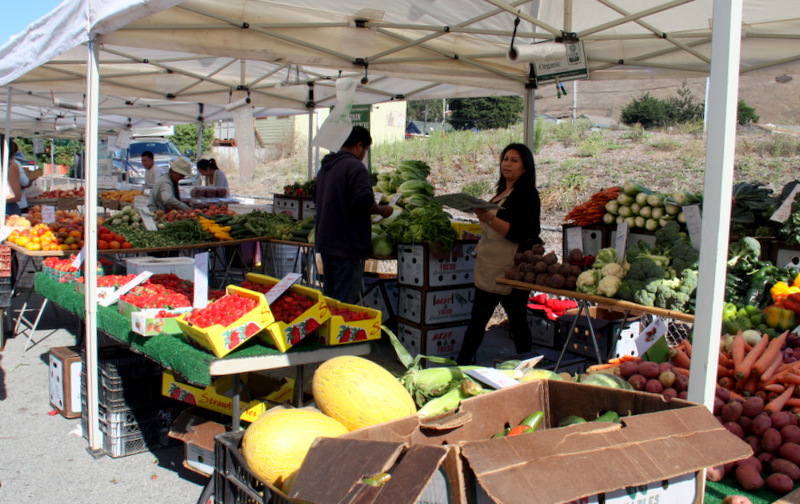 Check with the Pacifica Chamber of Commerce to see when the next outdoor Farmer’s Market will set up shop. Our research led us to three restaurants. 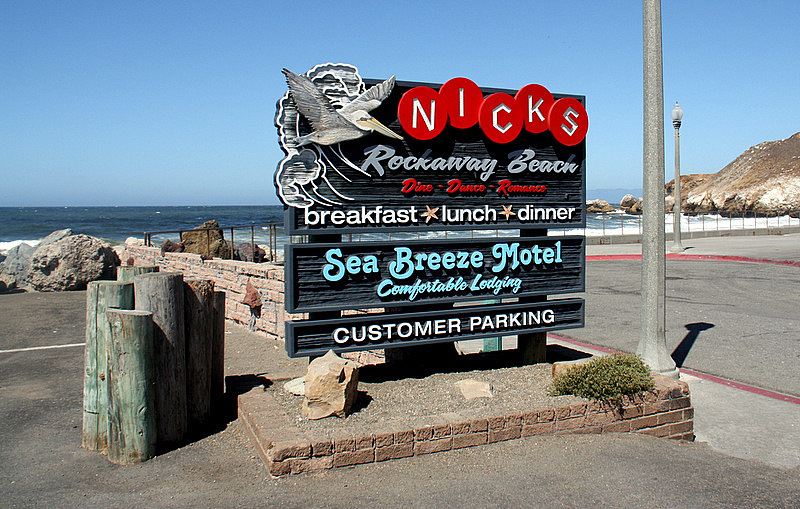 Nick’s Seashore Restaurant at Rockaway Beach was recommended for ocean front breakfast dining. 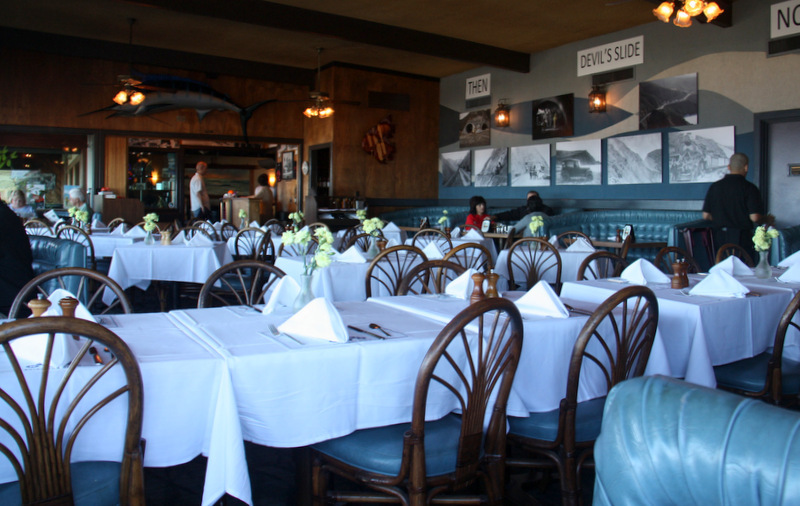 Nick’s has been family owned since 1927. As soon as we entered we knew we had found the local favorite for dining and dancing. 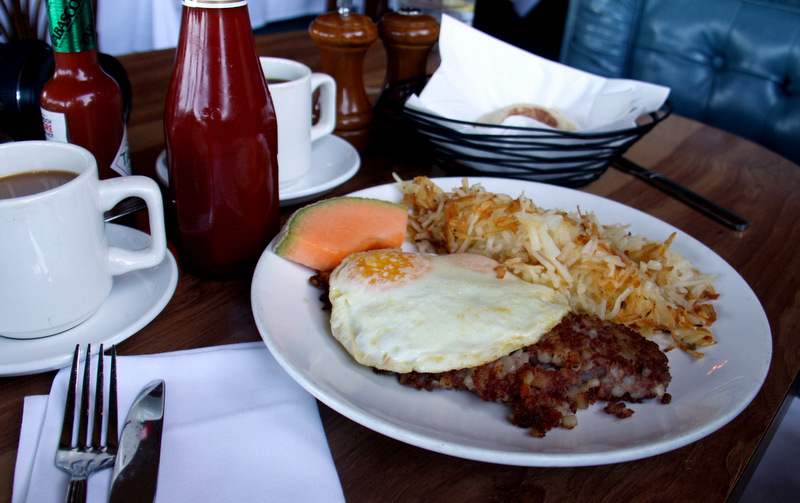 Our home-style breakfast at Nick’s was a great start to our day. 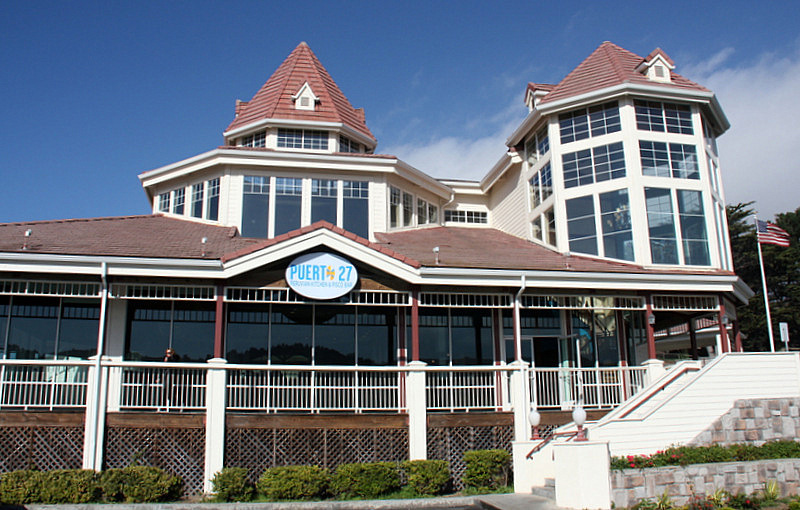 Puerto 27, has a relaxed beach community atmosphere. 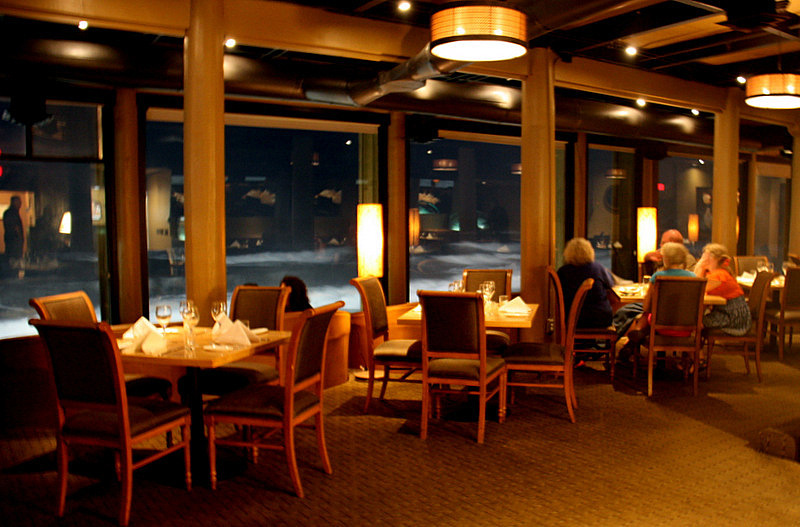 It was a particular delight for our first dinner in Pacifica. It offers something we had never experienced –Peruvian cuisine. We took a taste adventure recommended by Head Chef, Jorge Tupac. We ordered the Pescado a lo Macho, a whole fish marinated with Aji Amarillo and crispy fried. 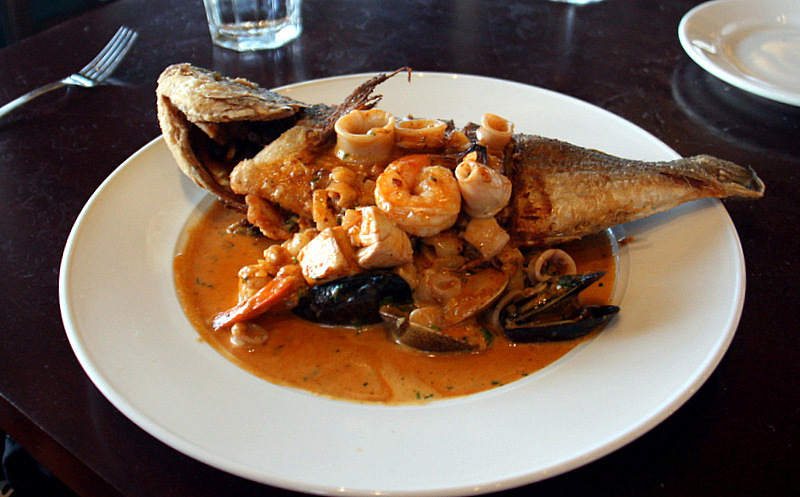 It was served with a Seafood Cream Panka Parmesan Sauce with mussels, clams, scallops, and calamari. 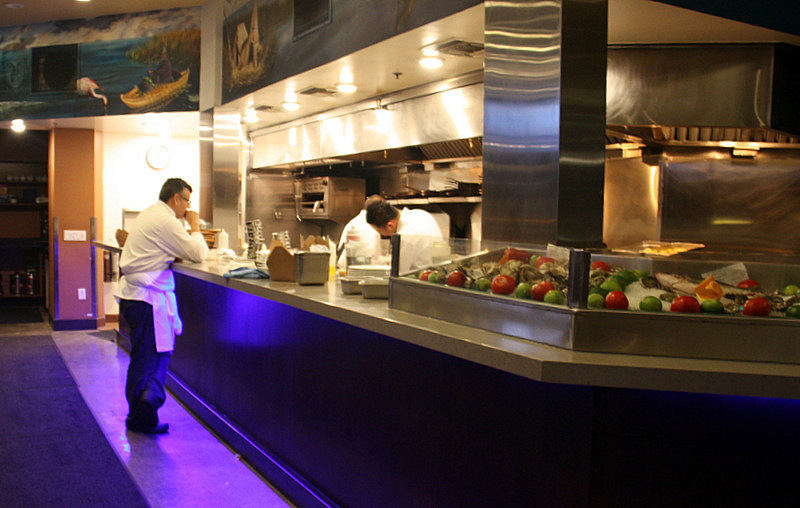 Not something we would have chosen without Chef Jorge’s suggestion. Turns out, it is off this planet scrumptious. We recommend it highly! By the way, be sure to try one of their Pisco Sour Cocktails. 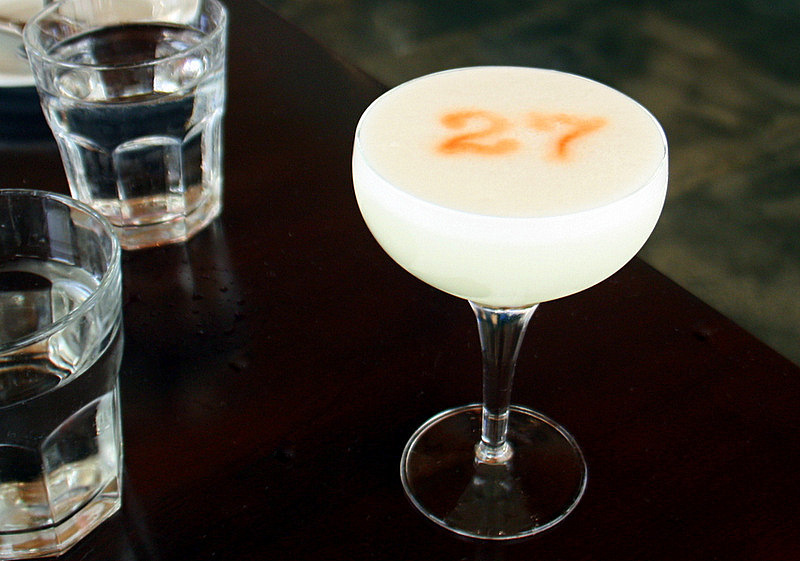 We had the Clasico made with 3 ounces of pisco quebranta, 1 ounce of key lime, 1 ounce simple syrup, ½ ounce of egg whites, and a touch of angostura bitters – for novelty, a “27” is neatly frosted on the surface. Yum! 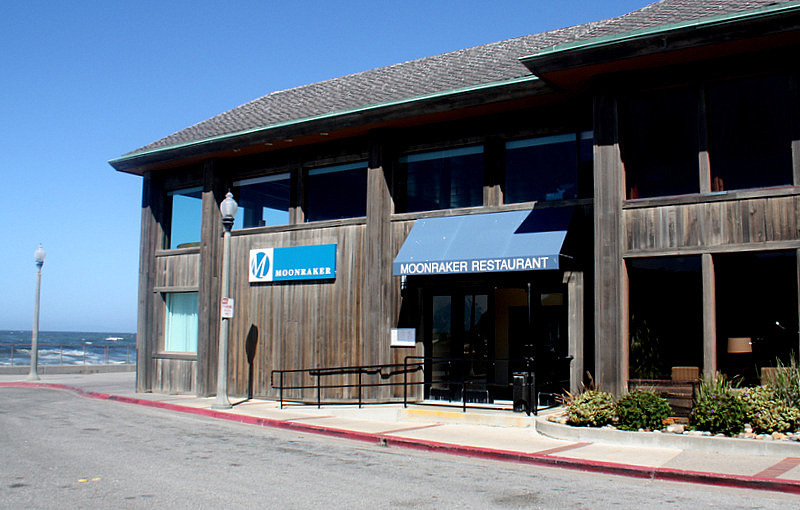 The Moonraker Restaurant is immediately adjacent to the Best Western Lighthouse Hotel and shares superb views of the Pacific just a few yards away. 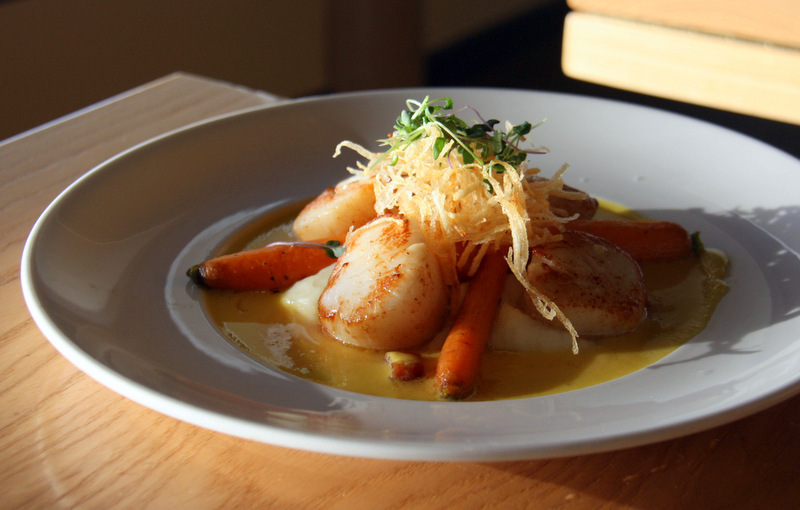 For a dinner entrée, we recommend the Coriander Seared Scallops covered in a sweet corn sauce and served with mashed potatoes and baby carrots. After a delightful meal, we enjoyed a savory cup of robust decaf coffee and watched the far away sun slowly slip into the sea. Soon it was dark, and the end of a beautiful day in Pacifica. 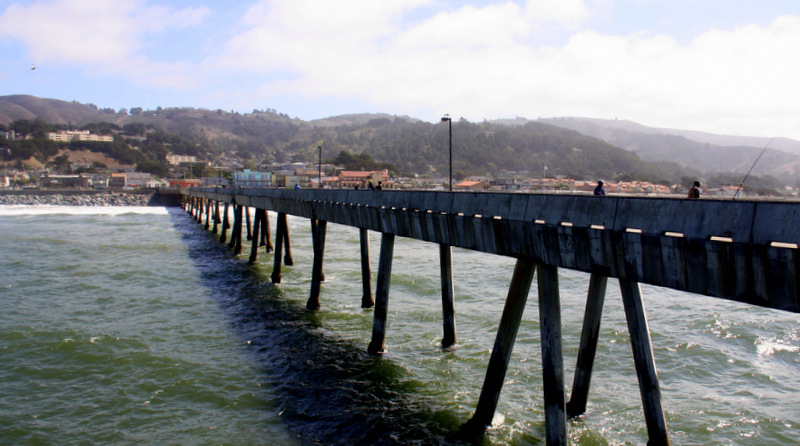 Located at Sharp Park Beach, the 1,140 foot Pacifica Pier opened to the public in 1973. 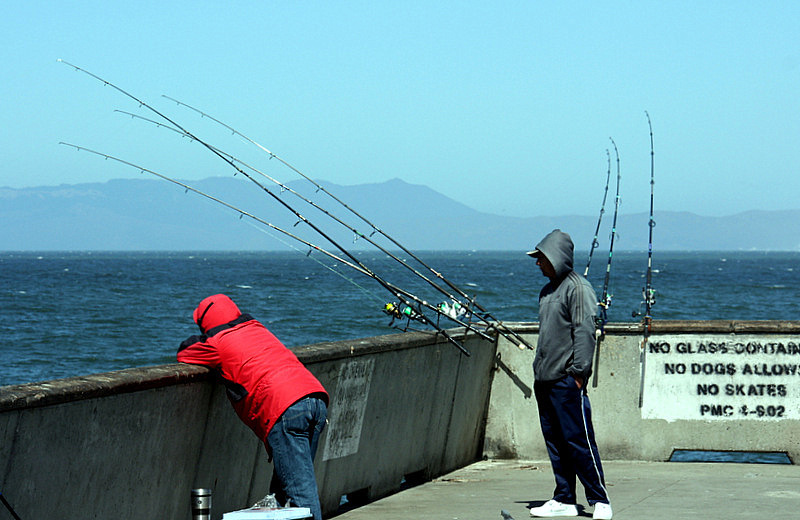 It has provided decades of family fishing fun with annual summer runs of salmon and striped bass, and crabbing for delectable Dungeness crabs is allowed during the winter season. 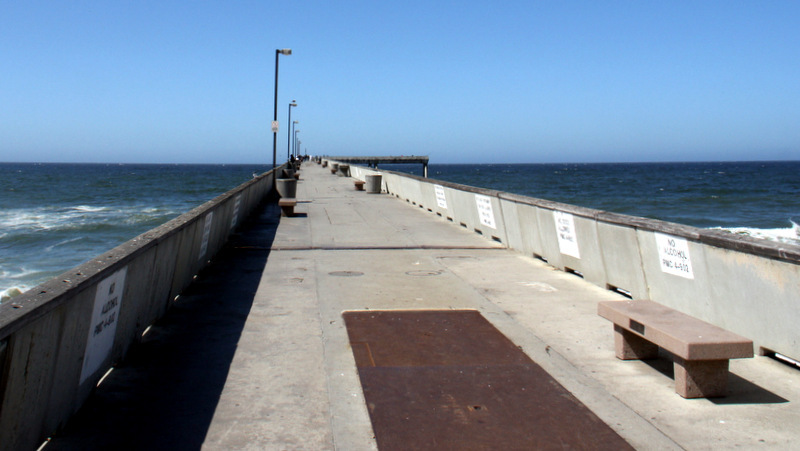 The pier is also a good place for spotting whales during their biannual migration. The pier is open all year from 4am to 10pm except during stormy weather. AND – no fishing license is required! 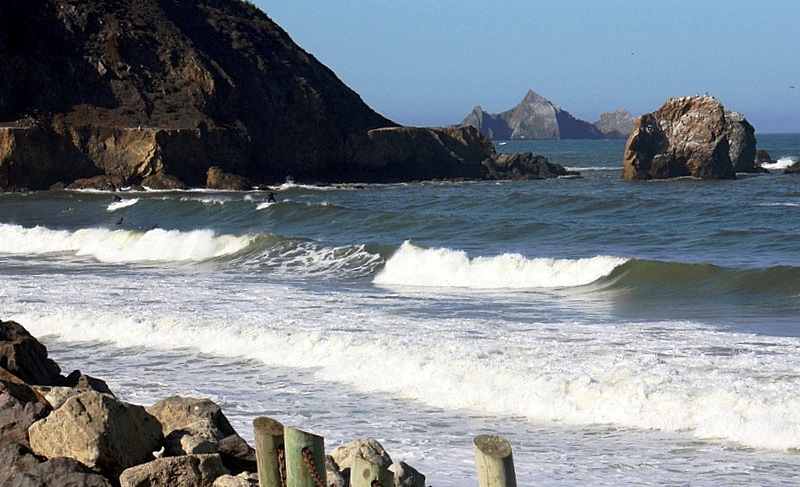 Pacifica boasts seven miles of multifarious surfing quality beaches in plain view of the dramatic Pacific headlands where hiking and biking trails lead to scenic overlooks of the crashing surf. These same cliffs are coveted by experienced para-gliders who ride the thermals like so many raptors spiraling in the gentle currents. There’s also an Alister Mackenzie designed golf course, public tennis courts, an archery range, horseback riding, biking, bowling, and a free skateboard park with ocean views. Phew! If Pacifica reads like a great place to prepare for your next marathon, decathlon, or for just getting into better shape, it’s all true. 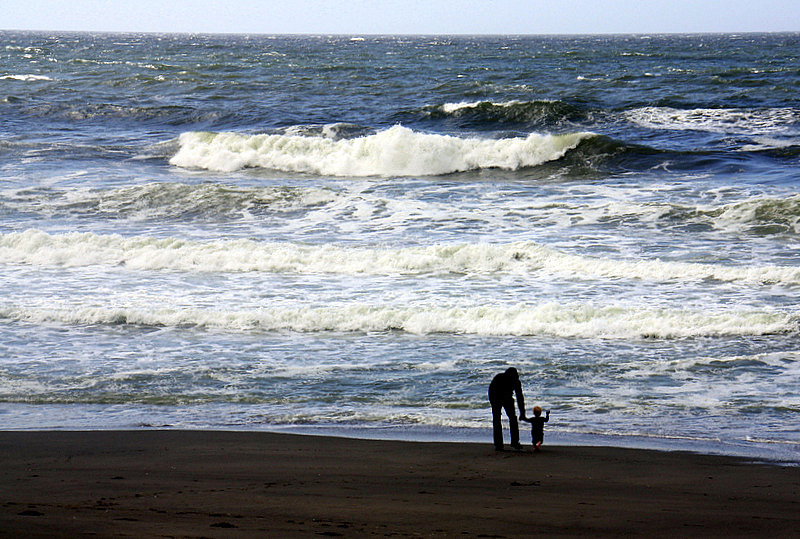 Before you complete your plan, be sure to check out www.visitpacifica.com. 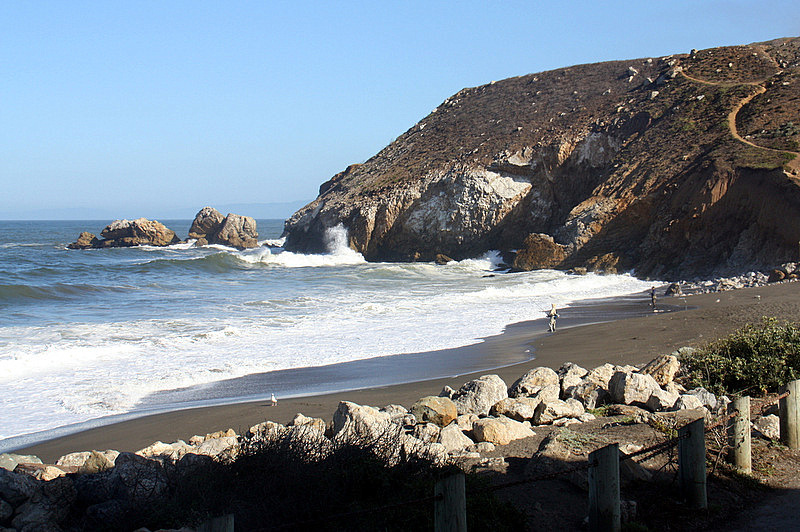 The website will provide you with up to date information about what is happening in Pacifica along with a simple map.